So you’ve decided you want to learn the flute? Or maybe your child has decided they want to learn. What should you be looking for in a teacher? Where might you purchase or hire a flute? What tuition books should you start with? How often should you practice? Here are 5 tips to get the most out of your flute lessons. 1.Choose a teacher who has a music qualification. This one may sound obvious, but there are teachers out there who don’t have any professional experience or recognised qualification in music and have only played the flute as a hobby. 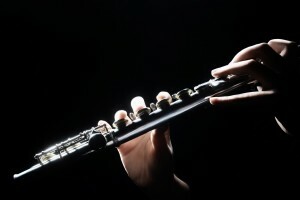 The risk with learning from someone like this is the high chance that they will teach you incorrectly and pass on bad habits in terms of physical posture when holding the flute, which puts you at a higher risk of repetitive strain injury, making the instrument harder to play than it needs to be. 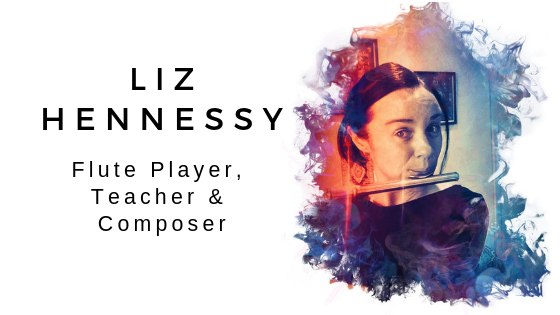 You want a teacher who has a good knowledge of music theory, enjoys teaching people in your age group and is also highly skilled and an experienced player. At the bare minimum, you want to see that they have at least successfully passed their AMEB 8th grade examination in flute (or the equivalent depending what country you are in), or achieved a diploma in flute performance or music teaching where their instrument of choice was the flute. But ideally, they would have a Bachelor of Music or Bachelor of Music Education, enjoy teaching (not everyone who attains their Bachelor of Music enjoys teaching because they are more focused on their performing career), and be a highly skilled player as well. 2.Once you have found your flute teacher, you will start off most of the time having one half an hour lesson per week. Many beginners assume this is all it will take to learn the flute. In truth, most of it is up to you to spend time practicing each day what you have learned in your lessons. A good rule of thumb for the amount of time you should spend practicing is approximately 30 minutes per day to begin with. As you progress and build on your skills and stamina, this amount will increase depending on your goals. 3. After about 10 lessons, set some time aside and consider what your goals are for learning the flute. Do you want to take examinations and begin the journey of having a thorough understanding of classical music and really begin to refine your skill, which will give you a solid foundation for any other kind of music you may want to learn? Or, do you want take a more relaxed approach where you learn the fundamentals of how the instrument works and learn how to play a set of various tunes with a CD backing for personal enjoyment and build on your repertoire over time? Or, perhaps you would like to experiment in writing your own music, in which case a good understanding of music notation and theory is crucial, of which a qualified flute teacher should also be able to teach you. There are many ways you could go, but being decisive about it will help you get more satisfaction out of your flute playing. Your flute teacher will help you set your goals based on what interests you the most. A music stand. This is important because it will affect your posture when you are reading music. You don’t want to be crouching over a table with your music while trying to play because this is very bad for your neck and back. A metronome. This will help you keep good rhythm as you play your music. Before the age of smart phones, these items were a little pricey, but now you can download an app on your phone for free. Flute servicing. At some stage, you will need to get your flute serviced to keep the mechanisms working well, which enables the flute to continue to work. Often, students assume they can’t play any more, when really the problem is that the flute needs a good service. Your flute teacher can advise you of where to get it serviced. If you hire a flute, the hire company would take care of that for you. Your ears! Spend regular time listening to recordings of well known flute players. You can find many on youtube such as James Galway, Jane Rutter, Susan Milan, or one player who is really hot right now in the flute world, Emmanuel Pahud. Regular listening to the best players will remind your ears of the best sound to aspire to. 5. Be disciplined about your practice. Keep a log book of your practice times and write down any questions and problems you have to bring to your next flute lesson. Then, once you have your answers, record them so you have a learning journey record to refer to.